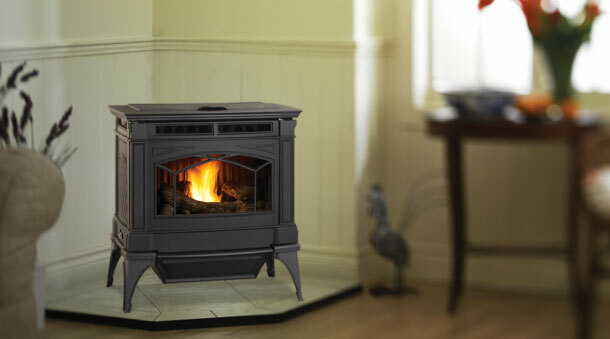 The features you want come together in this traditionally styled, cast iron pellet stove to provide you with an environmentally friendly alternative fuel technology. You choose the fuel for the Regency's GC60 - wood pellets, corn, wheat and barley - all at high efficiency for one of the most cost effective heating solutions. The GC60 can provide up to 55,000 BTU at an efficiency rating of 76.6%. Width 29.5" Height 31.75" Depth 28"